Included: Cabinet, Sink, Mirror (56"W x 28"H), Chrome pop-up drain assembly. 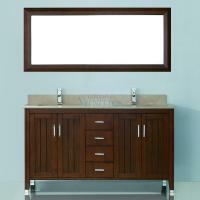 This 60 inch double sink vanity delivers the dark tones of chai under a counter top of your choosing. 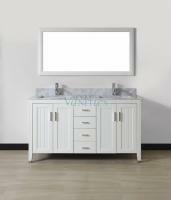 White marble, beige marble or tempered glass will all bring out the gleam of the gorgeous cabinet. 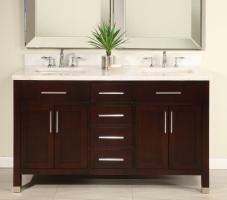 Comes with two under sink storage areas and four center drawers for personal items. You also get the matching mirror and sinks. 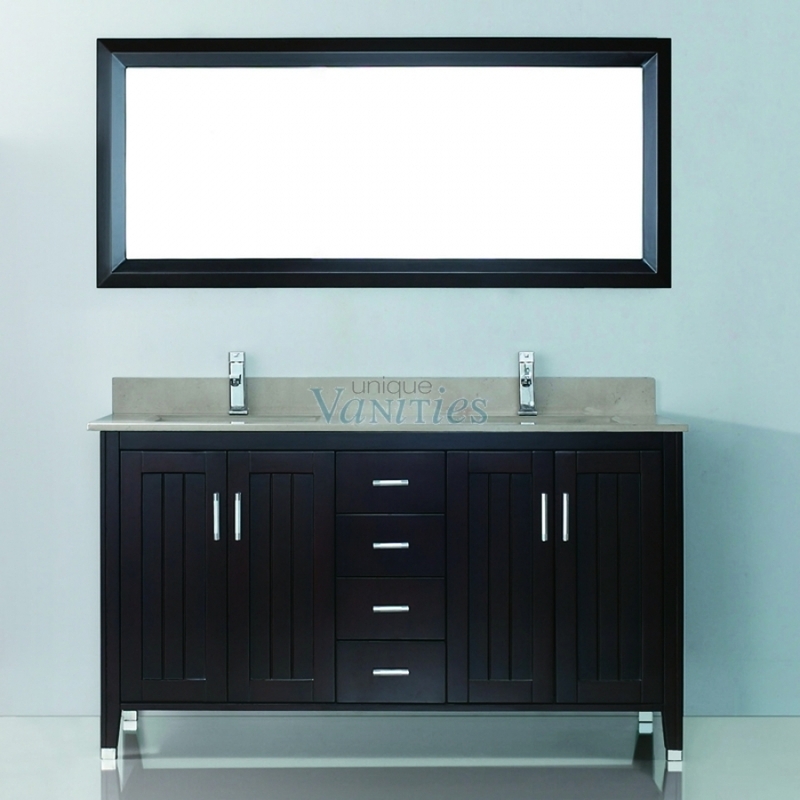 Additional Sizes: Also available in 28 Inch Single Sink Bath Vanity, 36 Inch Single Sink Bath Vanity, 48 Inch Single Sink Bath Vanity,60 Inch Double Sink Bath Vanity,72 Inch Double Sink Bath Vanity.